For 16 years, Mikaya has published nonfiction books with a strong focus on narratives. People need narratives - whether it's about building bridges, discovering continents, or learning how the earth was formed, a well written narrative is essential to turn facts into knowledge. Mikaya Press offers this narrative to help draw readers into the wonders of the world around them. 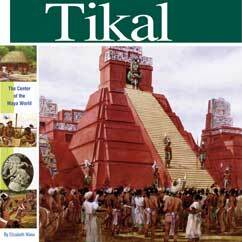 The story of the Maya though its largest city, Tikal. While Europe was in the dark ages, the Maya were producing works of art and sophisticated architecture and engineering, which can all be seen in Tikal. 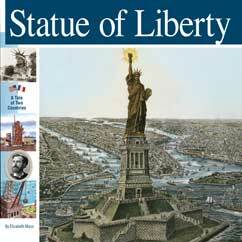 Tells the story of two Frenchman, a politician and a sculptor, and decades long effort to honor United States democracy with a monumental statue. The step by step process in creating Liberty as well as the fundraising effort is chronicled in the book. Chronicals the rise of the west's first great imperial civilization whose martial prowess and engineering genius culiminated in the Colosseum. 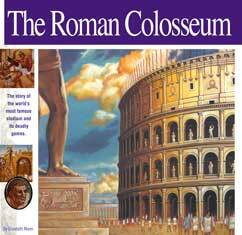 The book explores Roman slavery, gladitorial games and shows the details of the world's first great arena. 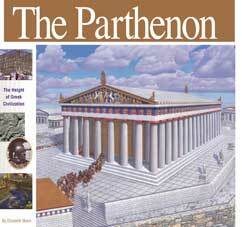 Explores the rise of Greek civilization and the development of democracy, a development that led directly to the building of the Parthenon. The archtiecture, art and engineering of the great temple are explored as well. Reveals the mysterious, amazing world of Egypt's Old Kingdom which, 4500 years ago, produced monuments that still amaze. 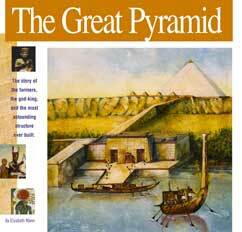 Aside from showing how the Great Pyramid was built, it shows why: the belief in a god-king and a literal life after death.